So, if you love baseball and you are a bibliophile, this is must-have book for your home library. 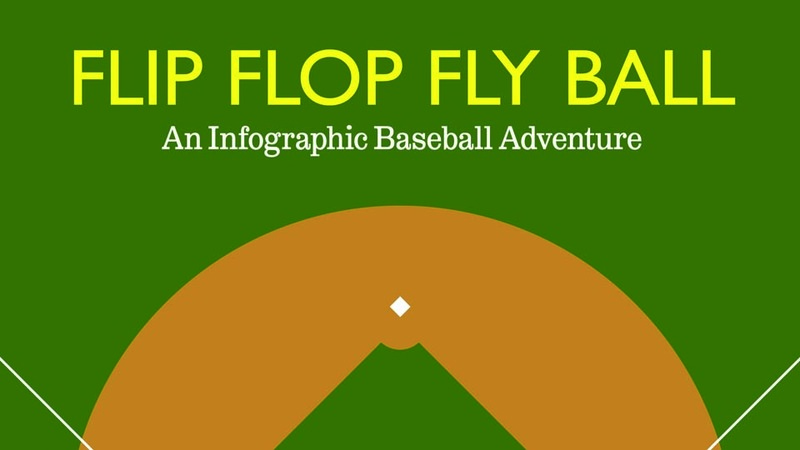 Read Flip Flop Flyball, an infographic baseball adventure. You will learn many useful and not-so-useful things such how tall A-Rod’s annual salary in pennies will be, what Nolan Ryan has to do with Mariah Carey etc. Perhaps you may never have asked those questions, but with Craig Robinson’s Flip Flop Fly Ball, you will know all that you ever wanted to know about baseball and then some more. According to Robinson, baseball is more than just sport. It was a slice of American history and had humongous amount of statistics which just begged to be organized. Robinson realized earlier on that understanding baseball to the extent that he wanted was just not possible by mere reading of baseball articles or just by watching the game. So he started a website that featured highly entertaining and informative infographics that became hugely popular among baseball lovers. It is out of Robinson’s website that the book took shape. If you are interested in learning more about the history of the game, its rivalries, cities, ball parks, the absurdities and hilarious moments, this book may be just the right pick for you. So how tall would A-Rod’s annual salary in pennies be? The Rangers Ballpark has now claimed the lives of two men, each coincidentally a firefighter, when each man leaned over the first row of seats and fell 20 feet in a small space between the railing and the 14-ft high outfield wall. After MVP Josh Hamilton caught a foul and threw it into the stands, 39 year old Shannon Stone leaned over the rail in an effort to catch it and fell. At the bottom was solid concrete. Though conscious at first, Stone went into cardiac arrest at the hospital and died. According to Oakland reliever Brad Ziegler, who was in the visitor’s bullpen in left-center field, the firefighter was saying as he was carried away on a stretcher that his son was “up there by himself” and asked those escorting him to check on the boy. Sadly, this accident was not the first, nor the first to happen in this fashion. Almost exactly a year ago, on July 6, 2010, another firefighter fell to his death from the second deck and onto the fans below. Though the game continued on, it was a somber evening.